IGA easter weekend hours, Easter is almost here HOP On IT! 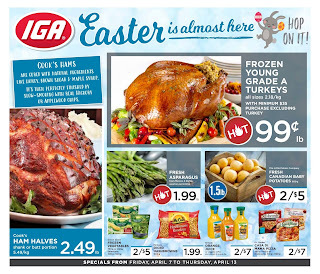 Easter sale at IGA Flyer could profitable regarding their coupon savings & points. 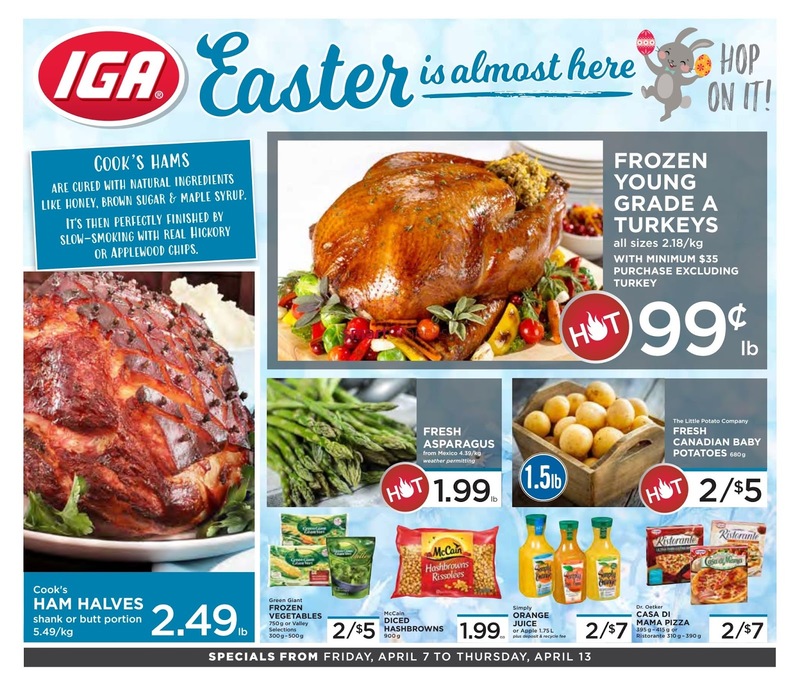 IGA Weekly Flyer Easter April 7 to 13, 2017. This week shop for Easter Frozen young grade a turkeys, Fresh Canadian baby potatoes, Fresh Asparagus and Grocery product. IGA flyer has a good selection of Frozen Vegetables. See Cook’s Hams are cured with natural ingredients like honey, brown sugar & maple syrup, It’s then perfectly finished by slow-smoking with real hickory or Applewood chips on first page. Fresh ataulfo mangoes from mexico price 2/$3, Fresh large Green seedless grapes from chile 6.59/kg price $2.99 lb, Fresh clementine Mandarins price 3.99 ea, Fresh carrots price 1.69 ea, Fresh Green Kale price this week only $1.69 ea, Fresh Cauliflower price now $3.49, Petiti Veggie Tray price $9.99. 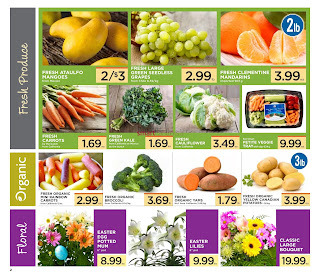 Fresh organic mini rainbow carrots price $2.99, Fresh Organic Broccoli price 3.69, Fresh organic yams price $1.79, Fresh organic yellow canadian potatoes price $3.99.